Enter your GSAM PROJECT username. Performance Audit of 50 District Assemblies were carried out to evaluate how they plan and implement capital projects. 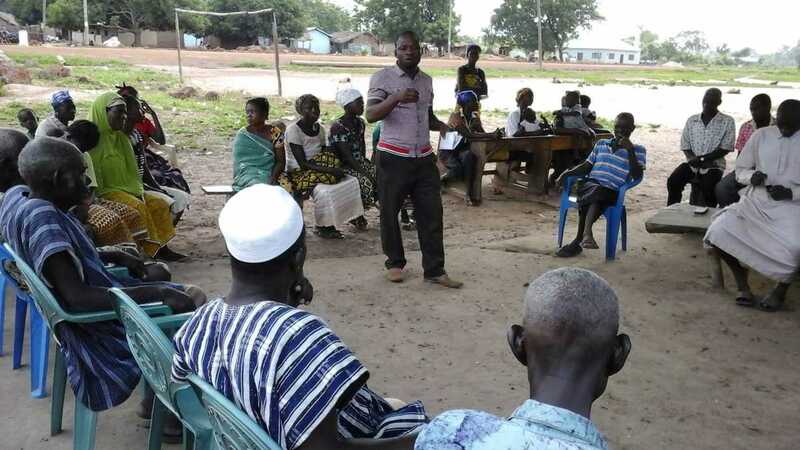 The Social Accountability component of GSAM empowers citizens and CSOs to independently monitor District Assembly capital projects. Increased availability of accessible information on MMDAs’ capital developmentproject performance in 100 districts: This objective is divided into two components: 1a)increased availability of accessible information on GAS performance audit in 50 districtsand; 1b) increased availability of citizen-generated i0nformation on MMDAs’ capital development projects in 50 districts.The intervention is divided into 50 districts for social monitoring and 50 separate districts for the GAS performance audit. However, the project will employ a similar mobilization strategy for both. For 1a, the CSO networks will facilitate the dissemination of audit information and also facilitate discussions on the outcomes of the audit with their constituents. In particular, the consortium will target informal self-organized groups to close a potential information gap for marginalized and vulnerable citizens who do not have access to mass media devices.For 1b,consortium members will mobilize their local CSO networks to disseminate scorecard information in urban and hard-to reach rural communities and facilitate discussions about this information with targeted communities. Strengthened CSO and citizens’ capacity to monitor MMDAs’ capital development projects in 50 districts: The consortium will build on past experience and best practices of individual members to develop an integrated capacity building program on social accountability tools and approaches in 50 targeted districts. The program will be rolled-out through a cascaded training of trainers’ methodology to ensure both ownership and consolidation of knowledge at different levels of mobilized networks. Furthermore, through a selected district lead CSO,the consortium will accompany the implementation of the scorecards to document learning on how used approaches and tools contributed to generating alternative information on MMDAs’ performance. Increased use of citizen-generated information on MMDA capital projects in 50 districts: The consortium will implement a interrelated set of interventions to (i) increase citizen-assemblies’ interactions through town hall meetings and other community spaces for dialogue; (ii) increase access to citizen-generated information on MMDAs using an open source web platform; and (iii) support evidence-based advocacy on bottom up oversight through sharing of learning and best practices and through targeted campaigns using social media, radio, billboards and the press. The implementation of the above objectives will be supported by a consortium comprising CARE International in Ghana (lead), IBIS and ISODEC. The consortium carried out consultative meetings with their civil society networks, representatives from the Ministry of Local Government and Rural Development (MLGRD),the NDPC, 18MMDAs, and GASto inform the proposed approach and strategyto implement the GSAM project. The consortium members have long-established CSO networks and relationships with district assemblies in 43 of the 100 targeted districts. The CSO network comprises 245 CSOs and over 10,388 farmers’ groups, youth groups and 2,400 VSLAs. These networks and relationships will help ensure rapid roll-out and provide the consortium an avenue for reaching approximately2,290,102 people across GSAM target districts.Strengthening the capacity of these networks will generate greater local ownership and deliver greater sustainability of actions beyond the project.